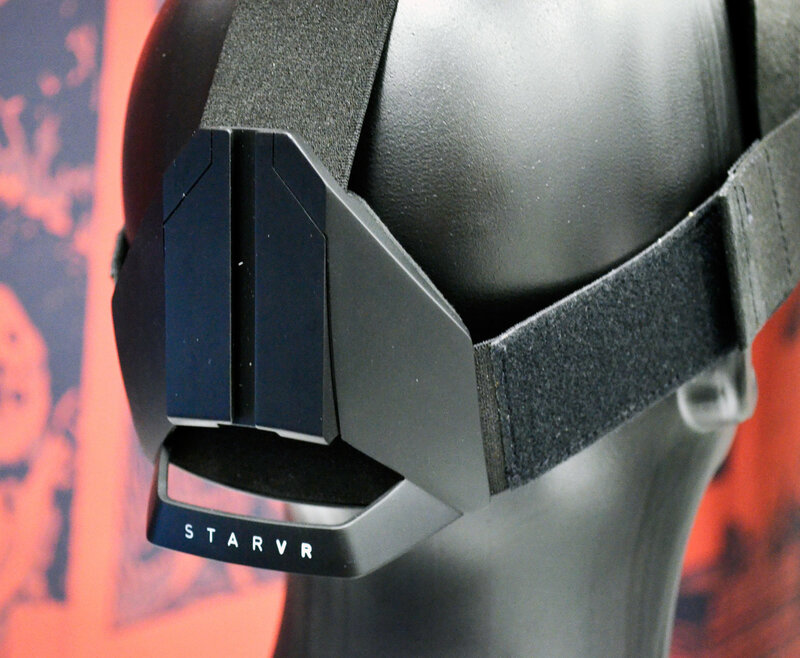 StarVR is an in-development VR headset from Starbreeze Studios which revolves around a massive 210 degree field of view; after looking inside their latest prototype, you may not want to go back. Technically, you could say that first time we saw this headset was back in 2013, when a small French team was designing it under the name InfinitEye. 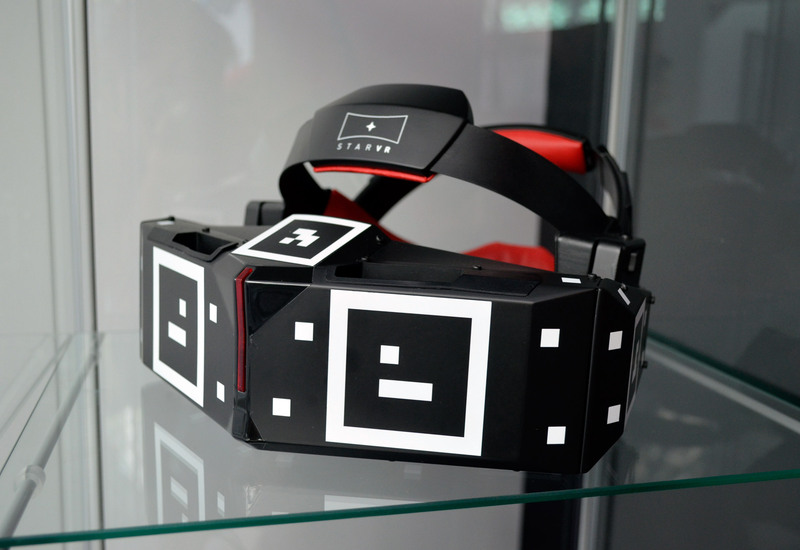 The company went on to be acquired by Starbreeze Studios and debuted its new StarVR identity at E3 2015. A year later, Starbreeze is showing the latest prototype, and you literally have to see it to believe it. 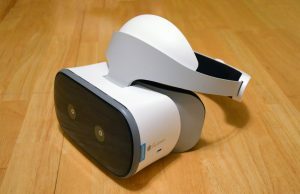 The 210 degree field of view is an eye opener in the virtual world and makes other headsets feel like binoculars. 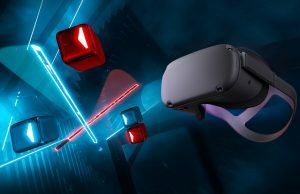 In fact, when demoing the headset, the company has a button they can press to bring in a silhouette which approximates the field of view of ~100 degree headsets like the Rift and Vive; the difference is obvious and astounding. 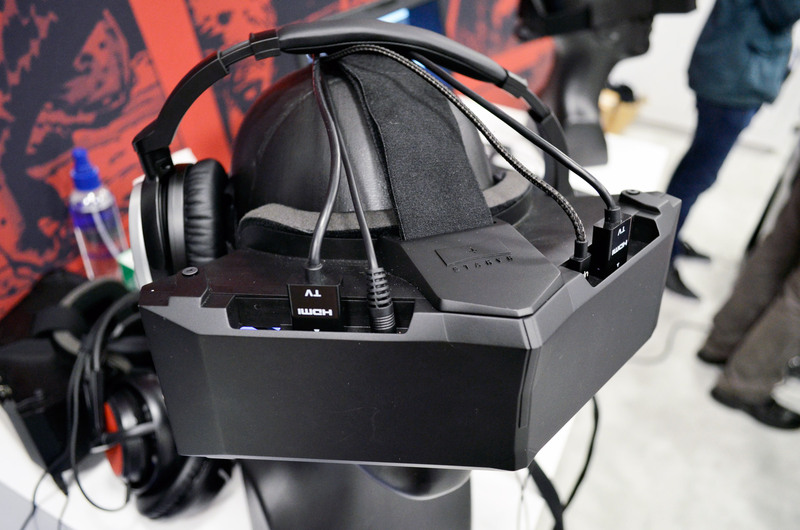 When we saw the 2015 StarVR prototype, we liked the ultra wide field of view, but the resultant visual artifacts were not worth sacrificing the clarity offered by other major headsets (‘light ray’ artifacts withstanding). 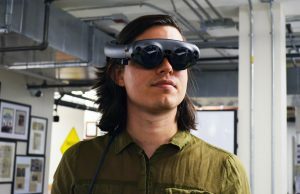 But with improvements to the lenses and rendering made over the last year, the company is starting to make that trade-off look rather appealing. 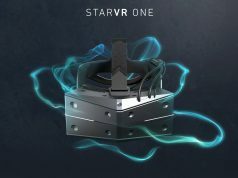 If the company can continue to improve at this rate, StarVR could be in hot demand in the near future. No one is arguing that a wider field of view isn’t better. The view inside of StarVR is truly impressive; you feel like you’re putting your head into the virtual world in a much more significant way than other headsets, but when it comes to optics, it’s always a balancing act. Yes, you’ve got a massive field of view, but achieving it requires a complex set of lenses which, in this case, combine normal and Fresnel elements which bring their own unique challenges to clarity. And while there’s the unavoidable constraint of optical physics (i.e. you may never be able to make a photon emitted from one point in space look exactly as if it was emitted from another), there’s still an optimal performance for any optical design. 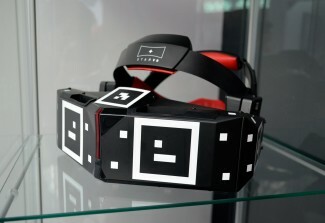 And while the view through StarVR isn’t perfect, Starbreeze has demonstrated clear improvements since the last iteration of their headset, and the hope is that it’ll only continue to improve. The optical engineering isn’t the only thing that’s improved. The current prototype is markedly lighter (now at 380 grams) than the former and seems to fit to the face better. 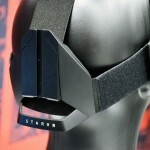 Starbreeze has removed the bulkier strut mount from the older version and replaced it with flexible straps like those seen on the HTC Vive. 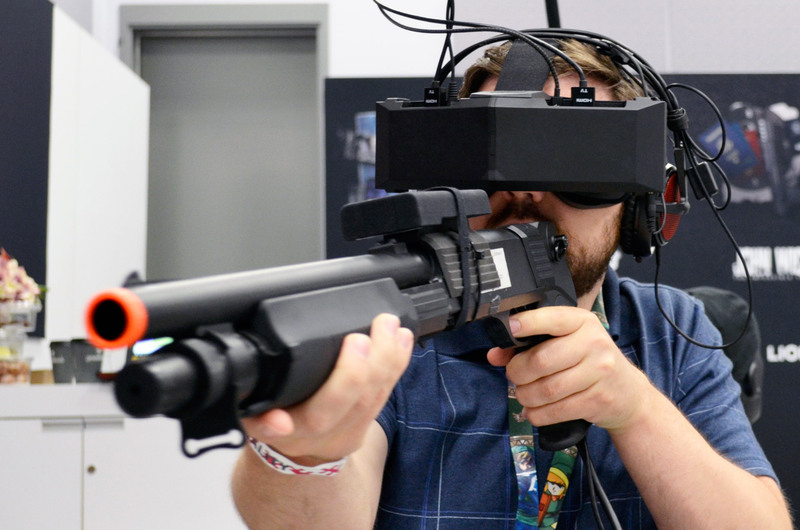 Hopefully HTC and Oculus adopt this FOV for gen 2. They’d better announce their intent before this one comes out! Only if they can make the lenses better, in my opinion. The lenses in the Vive really are terrible, we’re overlooking it at the moment because of how awesome the experience is otherwise. But I can’t stomach the thought of the visual distortion/blurriness/fresnel artifacts getting WORSE because of the difficulties of a larger field of view. Actually, I think that if I had to choose between greater FOV, greater pixel density, or better lenses, I’d choose better lenses for the next gen (I sure hope I can get two out of three though!). I want DK2 level clarity and color reproduction but Vive level FOV, and I want better focus outside of the narrow central “sweet spot” than both of them. 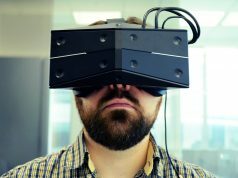 I agree, lenses need to improve, and the Vive has its issues. I wouldn’t give the Rift any pass on their lenses either though..
What is more important for our next HMD upgrade, FOV upgrade like this set? 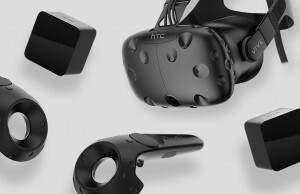 Or a PPI upgrade(pixels per inch), which the Star is close to the current Vive/Rift and I see as a limitation. Would a 4K 100 FOV be better for consumers? I think a mix of both. 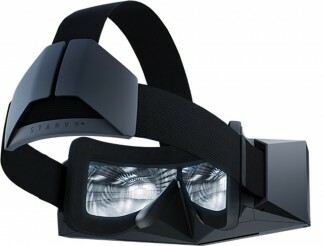 Say 180FOV and use LEDs to extend the visual stimulation to the edges, then 1440p screens per eye. Higher pixel density and higher fov. I hope we at least get to a resolution were we can’t see the display’s pixel structure. I believe 1440p won’t achieve this. I think we need to be close to 4K res. 720p projected already has far less pixel structure than an LCD/OLED 1080p screens, so if it would be possible to use 1080p projection, it might be just good enough.. Let’s face it, current GPU’s aren’t up to the task of even pumping out dual FullHD for VR at affordable prices..
That’s only if you want games playing with everything at max. Not all games need real life visuals. People keep talking about this 4K 90fps benchmark but it’s perfectly feasible with graphics that aren’t as demanding. It’s all dependent on the game being played. 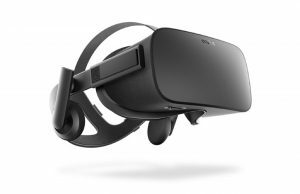 Have you tried the consumer Rift or Vive? With their small distance between pixels, the pixel structure is barely visible at 1200p. With the same technology but at 1440p, it seems possible to me that the pixel structure will no longer be visible. That will, I think, be very immersion breaking, because it will look like there is something to see on the periphery when you are looking straight ahead, but as soon as you take the natural motion of looking sideways you’ll see nothing but blur. I would generally say that greater FOV is what I want, however, it’s really hard to say without having experienced either greater FOV or greater pixel density. I do notice that the lack of pixel density makes distant objects look less “real” and to some degree destroys the illusion that the space is large. I don’t know if greater pixel density would actually help that or if it’s something else, maybe the convergence/accomodation mismatch. Better GPU’s at affordable prices.. 4K is nice, but if it requires a GPU of at least $700+ than it’s just doomed, and only available for highend users.. First make sure the displays themselves are better (there are other ways to get rid of the screendoor effect, without having to really up the resolution, or using DLP to actually project the image directly into the eyes has shown that even at 720p the screendoor effect is already lower.. Also make sure tracking is better, and the headsets are lighter/more comfortable.. Also better optics… and if that’s done, by that time the GPU’s might have advanced to such a degree that 4K VR is available at $200-$300, and only THEN start upgrading the resolution..
well the GTX 1070 and 1080 are coming out and the prices are insanely low for what you get, and it’s also making the prices drop on the 980 ti’s. oh comeone, you call $600-$800 ‘insanely low’? you must be f-ing insane… At least a GPU like the 1080 is needed to drive 4K at 90fps (minimum), and it’ll take a few years before that one is around the price of $200.. because less then $200 is what is needed for it to become mainstream.. I think you meant $379-$599. oh please, the RX480 is NOT capable of pushing 4K VR displays at 90fps (as minimum) with everything on high.. 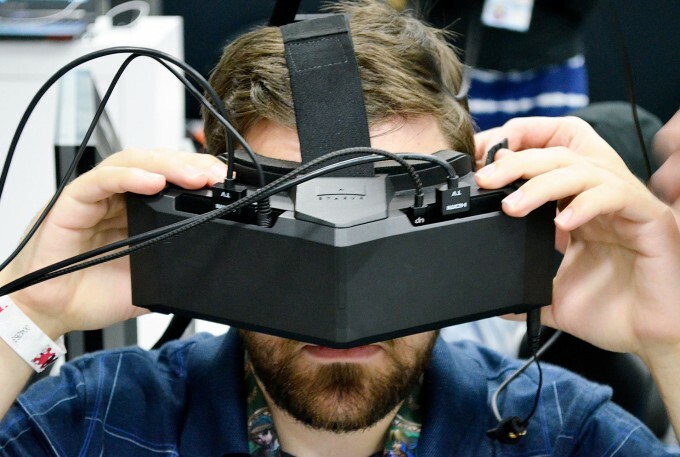 There is no such thing as 4k VR at the moment so there’s that. Also the current resolution is fine for now. You’re just a senseless pixelwhore no one should care about. The most important thing that needs to be improved are the lenses and the sweetspot. After that we can look into higher FoV and after that higher Pixel desnity. I’m not a pixelwhore, as I still enjoy my VFX-1 with 320×200 per eye, and I still think the DK2 and the current CV1/vive are good enough for now, except the GPU’s need to increase in speed and decrease in price for now.. 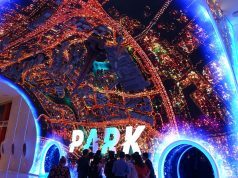 I agree with you completely, first other things have to be resolved perfectly before going to higher resolutions..
even dumping oled displays for DLP projection might solve some of the screendooreffect problems (as on 720p it already is much less than with the current CV1/Vive, so upping the resolution to 1080p (which I think isn’t available at the moment for micro DLP yet), would even make it less of a problem..
where the hell did you see true 4K VR ? this one have dual 1440p , 4k will need 12.5% more power. so if RX480 can run 4K just fine, can’t see any problem to run this VR. 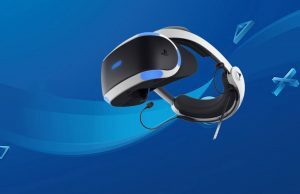 what you say makes a lot of sense for graphically intensive games, but that’s not the only use of VR headsets, and you don’t have to render at full resolution. 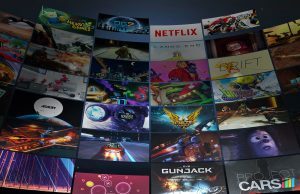 I think even with a GTX970 you could benefit from a higher resolution HMD : games would still be rendered at a lower resolution and be downsampled (which is what Gear VR is doing most of the time), so you may lose a bit of sharpness, but you’d also have less SDE since each physical pixel would be smaller. 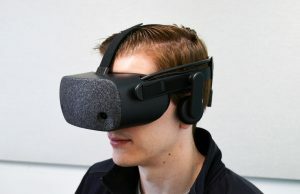 And when using your headset with an app like BigScreen to watch a movie, or use your desktop, or play a game that’s less demanding, you could use the full resolution, which would make the experience a lot better. it’s not going to be a consumer product, so..
Well, he said that in an interview last month, but with acer onboard, I’m pretty sure they’ll do a consumerversion or something..
Foveated imaging is next. Then people don’t even require top-of-the-line GPUs. If it’s there by the next generation in around five years, it’ll be amazing. True. You don’t need the same PPI across the whole FOV. With eye-tracking, dynamic rendering featuring cascade of PPIs around fovea is probably the best balance between experience and performance. eliminate aliasing. But at least the requirements won’t go up relative to non-foveated 1200p as foveated screen resolution goes up. If its super awesome and makes my ears/nose sore after 15 minutes im not interested. I often play for 2 or 3 hours at a stretch. I’d be lying if I said my face isn’t totally sweaty after I take off the Vive, but its never sore…. and I’m even using the extra skinny foam pads to get better FOV. Does it do roomscale too? What gun controller is that in the picture? Just go with steam and lighthouse then not only will you have the best tracking system for VR… You also become an option for Vive owners which would expand your market! Lighthouse tracking is the best at least right now and I expect it will also improve over time! The problem is that there’s no clear timeline on when lighthouse is going to be opened up, or what licensing might be involved. It’s hard to make business plans based on that. I’m sure if they just start a conversation with valve they could make something happen… HTC did and so could they! Don’t know that I agree with that. I think mainly Valve/HTC is still hammering out the spec and how they want everything to work before they open it up. They don’t want to release something that they’re going to regret having to support. So I don’t think it’s a matter of “nobody has asked them.” Lots of people have. OSVR was planning on using lighthouse but due to the delays they eventually had to give up on that. 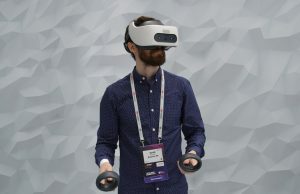 Perhaps you are right but there is still time… Both StarVR and OSVR are still prototyping so maybe there is still a possibility they can get lighthouse in time… Here’s hoping! Let’s go steam unlock that stuff! Yep. And neither company has added support for more than two cameras/base stations yet. Yes to the first, maybe to the second, but ultimately Lighthouse might be usurped by technologies such as the Sixense STEM magnetic field system. Magnetic field tracking has some very nice properties that Lighthouse and other systems will probably never have. STEM has no occlusion problems and potentially very long range. 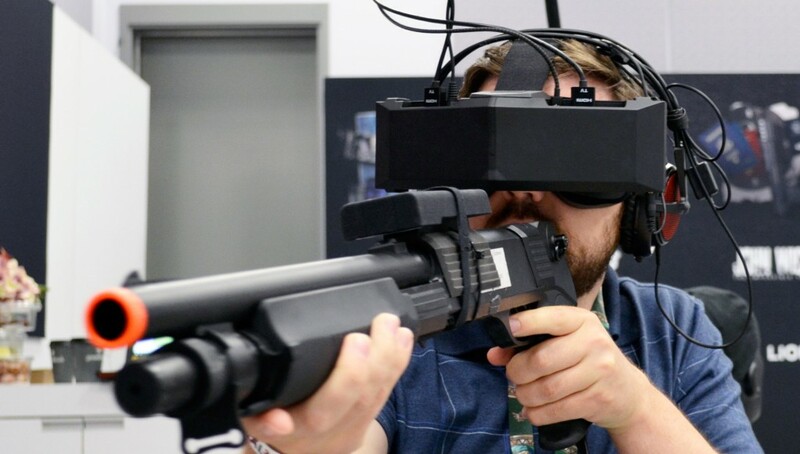 If it can also match other tracking technologies in terms of price, availability, accuracy and battery life, then there’s going to be less and less reason for HTC and Oculus to keep pushing their IR optical tracking solutions. My only fear here is that STEM is already a little too late to the party, and it may have problems that Sixense simply hasn’t reported. Hopefully we’ll find out when they ship it later this year (unless they delay again… ). 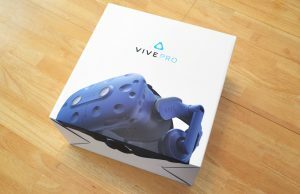 I would be completely fine with that if they can beat lighthouse in performance, accuracy, and battery life… I also ordered a Stem system and although I own the Vive am interested in how well they will perform against it..
Why not just go with an already existing tracking mechanism, so just use the one from the vive or the Oculus, and improve on those. Stop trying to come up with something yourself.. I disagree, the biggest problem I have is resolution. Ah, now you add “if there is artificial locomotion”. The reason I haven’t had a problem with sickness is because all the games I’ve played are designed for the hardware – they use teleportation (or are set inside vehicles). Just design games around for the system rather than porting over 2D games and it’s not a problem. There is nothing wrong with free-roaming locomotion if you have the right hardware for it, which not many people do right now. For the present, I think developers should include options for both free-roaming and teleportation. Locomotion is not an unsolved problem, the solution is just not widely available yet. What’s the right hardware for it? It’s a solution but not a convincing one for your inner ears. For the longer term a more “mechanical” solution is needed such as the InfinaDeck although we are at least a decade away from these transforming into “usable”and affordable consumer-grade devices. 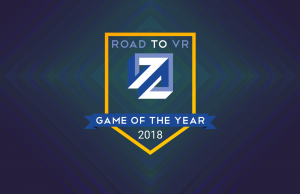 A combination of roomscale and teleportation should suffice for the majority of games for now and the foreseeable future that comes pre-packaged with the VR device and without requiring a purchase of additional motion platforms. Hmm, not sure about the Infinadeck. One of the problems with motorized treadmills is their latency. After you stop walking they take a while to bring you back to the center, which your inner-ear can detect (when it stops). On a passive treadmill like the Omni, stopping and starting is practically zero-latency as it’s all you. Your inner ear does not detect movement through space, only acceleration. You can see in the gif the little head accelerations and decelerations accompanying each step which are equivalent to what the head feels in real life. 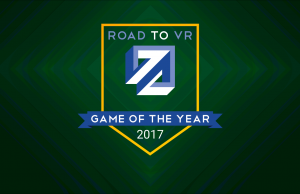 It’s that (along with the correct leg movement) that eliminates sim-sickness, and will make first-person exploration games like Fallout 4 VR and Resident Evil 7 VR playable – a combination of teleporting and room scale won’t work as well for these very important types of games. The InfinaDeck is still in development so there’s plenty of time to improve on latency but it cannot possibly be compared to a passive treadmill until the technology reaches it peak. When it does, it will be miles ahead in simulating the most natural gait possible. 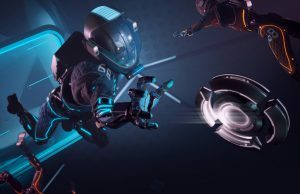 We could talk about this all day long but it’s not worth discussing at the moment especially when the individual in question most likely has never tried a passive option such as the Virtuix Omni. Now this is all thinking on a longer term meanwhile the most natural solution to locomotion in VR is roomscale. A combination of both is the most effective solution for those who are prone to motion-sickness, those who want to achieve the most natural gait possible without having to establish any sort of pattern of leg movement and with the freedom to traverse hundreds of virtual miles and yet it is extremely effective for first person exploration games, that is, of course, if you have tried this method yourself to start with. By a ‘combination of both’, do you mean roomscale and teleporting? Most people barely have space to take a couple of steps in any one direction, which means the amount of teleporting that is needed to play an open world game is far too much. I do understand that as motorized omni-directional treadmills are still in development they shouldn’t be written off. For the time being though, passive treadmills combined with 6DOF head and hand tracking is the high end of exploration based VR. At the same time it’s compact enough to make it into people’s homes as well as arcades. 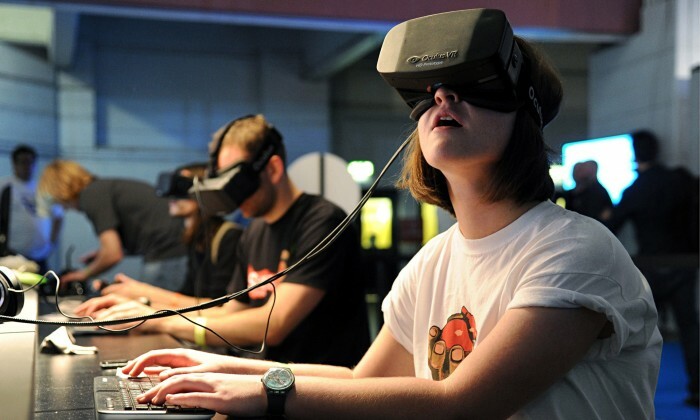 That gives me hope that the VR industry will be able to establish itself over the next 12 months. 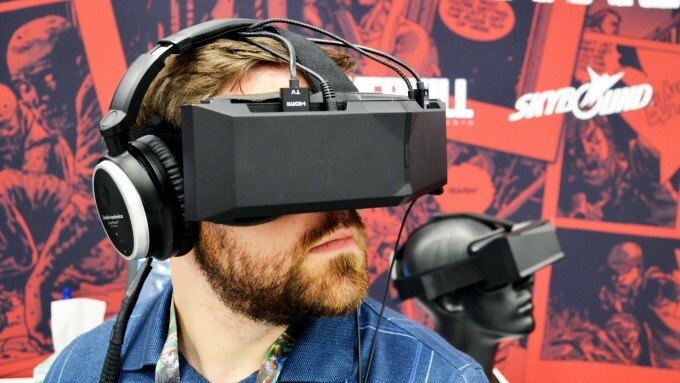 AAA content has been announced for VR, and that’s good news for everybody. By the way, my personal opinion is that being on my seat is very confortable and i don´t want to stress me out after a hard day. Therefore, i would like to buy two controls for my feets that are used when i am seated. On my left foot one ring/foot cover to control left/right with very light movements to the left or to the right something gradual and independent on the position of the foot.. On my right foot to go forward or backwards. The trick would be to configure the device to allow you big movements with less physical movement. This device would be also interesting if you reconfigure it for active physical simulation. For example, if you are not on your seat but you stands, then you can use it to simulate and track on your foots, your dance skills . You can also provide a new seat where you can move your feets on the air and simulate walking, running. All these will not solve the motion sickness but it is cheap and allows you to have control of your movements having your hands free for other controls. 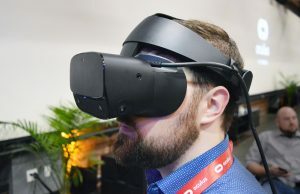 I wonder if after this we’ll see the advent of flex screens on vr headsets..
With the wider field of view available in the StarVR, I expect there will be a trade-off between stereo overlap and peripheral vision. I would have thought stereo overlap in the central vision area was more important for immersivity than wasting pixel space at the margins. I wish we’d just go with PPD for all displays period. I’ve been calculating PPD for my monitors and matching them up for years. It’s the actually important ergonomic measurement. PPI is not very helpful most of the time. This one but not the only reason VR has a long way to go before it’s mature enough for mainstream consumption. Another of course, is it still being tethered. 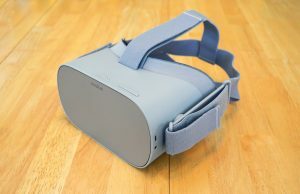 I have an oculus and can say now that FOV is even more important than resolution as far as I’m concerned for immersion and future of VR in general. StarVR + Star Citizen. This is going to be the Ultimate dream of gaming for a lot of people. But which 2 GPUS would give me a stable 120FPS minimum at such high resolution coupled with ultra high fidelity visuals in Star Citizen at launch? 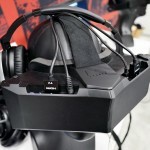 Do we need a miracle in the GPU market to drive this headset for AAA titles? Will this be possible by 2020? I love my Oculus but I hate the FoV. It really interferes with my enjoyment of the “Virtual world”. 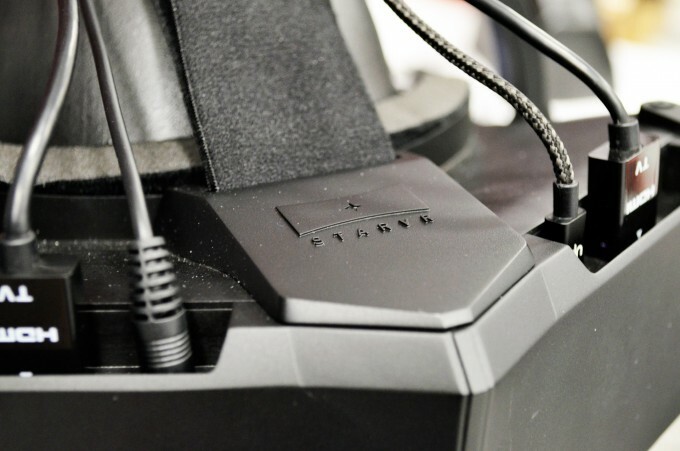 I’m looking forward to getting my hands on a next gen Oculus with wider FoV of this, StarVR.